Hasselblad has released their latest version of the company’s Phocus software, which is designed for editing images from Hasselblad H and X series cameras and the CFV digital back. 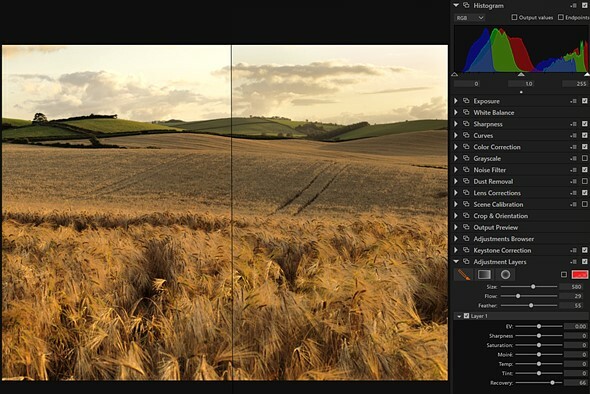 Phocus 3.1 adds a number of new features including a new perspective control pallet that allows for both X- and Y-axis editing against grid-pattern guidelines. It’s a real boon for product and architectural photographers. The other big additional feature is a highlight recovery tool which can be used as a selection on an adjustment layer. It adds precise correction without doing it manually. There are a few smaller features that you can see below. For more details check out the information below.